After feeling slow and sluggish after Christmas, it seemed a great idea to sign up to the Martin Lewis 2014 run challenge. Its no secret that I am not and never will be an athlete of any form, but if I can put on a pair of trainers and listen to some music whilst having a run in the great outdoors after being couped up in an office with no windows all day then I’m a happy man. I joined the Money Saving Expert with a 434 mile (700km) target for the year and hoped it would be the kick up the are I need to keep me running. However Martin Lewis ended up with a ankle in plaster followed by gout so has fallen at the first hurdle, which had left me thinking, what have I signed up to? A quick breakdown revealed its only 1.2 miles a day, which is only 8.2 miles a week. 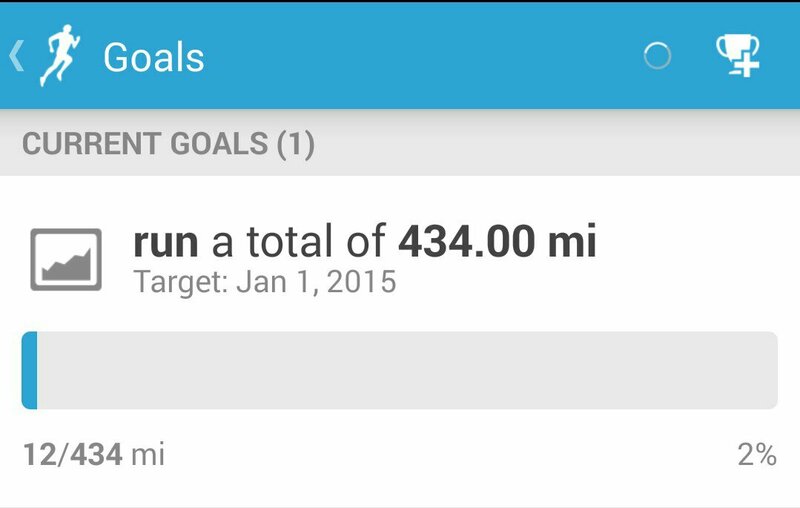 So as long as I remain consistent with a steady 8-10 miles a week, it should be much easier than I first thought. Although some simple maths was enough to trick my mind into thinking this will be a walk in the park, a quick look on my goal in run keeper makes very grim reading. Despite being on target, seeing 2℅ completed is somewhat depressing and shows just how much I have to do but I’m confident that being able to look back on this journey will make it all worth while.